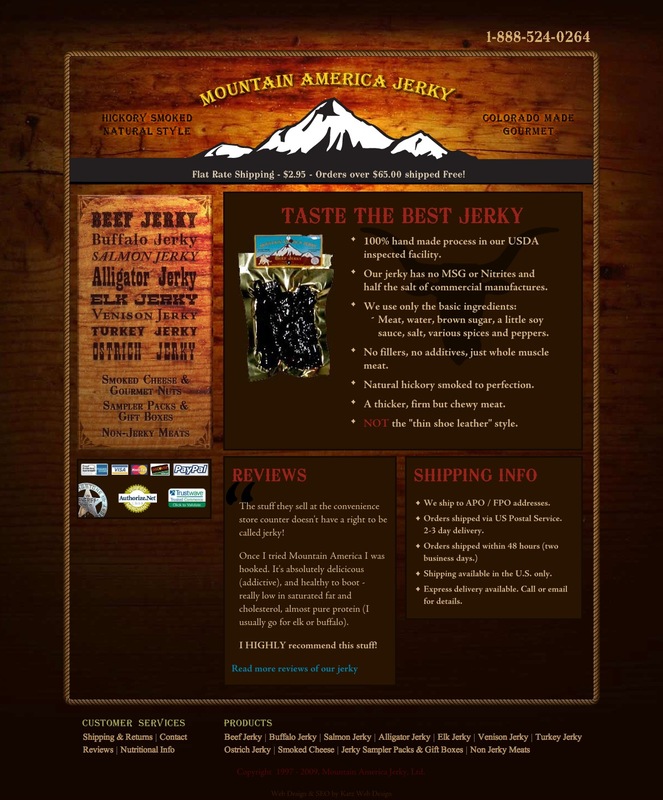 I’m happy to announce that today the new Mountain America Jerky website launched. 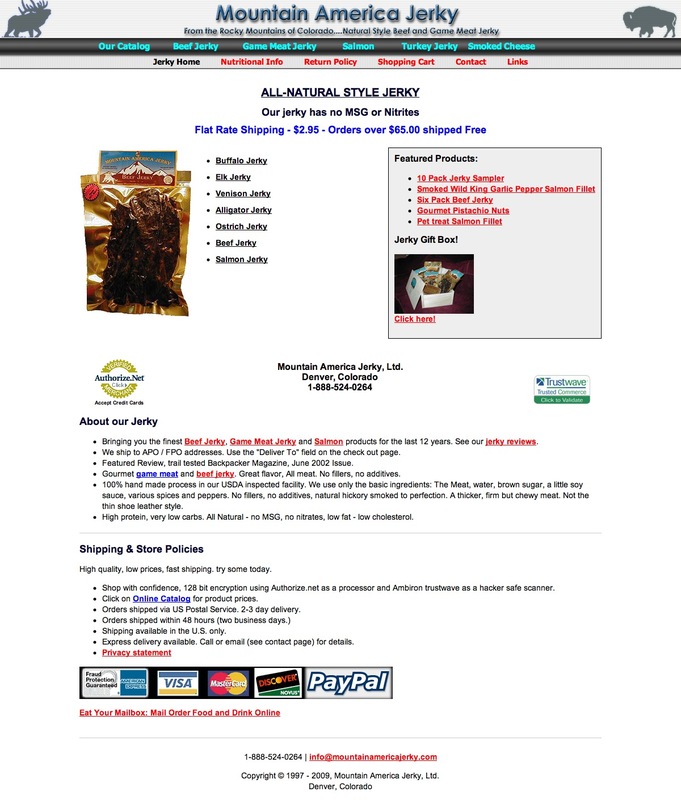 Check out the site and try some of their crazy-good Garlic Black Pepper Beef Jerky. One perk of working with a nice client who sells beef jerky is getting samples of the product! Seriously, though, it’s the best jerky I’ve ever had.